It started on Saturday with gummies. I was in the Fort Myers airport, 2 hours early for my flight when I walked past Dylan’s Candy Bar. Oooh… I hadn’t picked up something for my kids on a work trip in a while. Plus, I like candy, If I get gummies “for the kids” it meant that I could share. Yes, this was an excellent idea. I went into the store and grabbed a tiny paint can, filled it to the brim with assorted gummies, paid my 18 dollars (why is everything in this airport 18 dollars?) and left. I planned to surprise them, but when I face-timed during my Atlanta layover, I couldn’t resist dangling the little paint can of gummies in front of my camera. My kids’ eyes grew wide. They were so excited. I was so excited. Gummies for all!! Nope. Funny you try to ask for them this early in the morning. In fact, hilarious, But no, No gummies for you. Nice try. And then he goes to look for them again! Now I get mad. My boy cannot take my no as an answer. He hangs his head and walks back to his room. Poor kid. I hug him (I’m a sucker) and tell him that after breakfast, he and his sister can treat themselves to a few gummies. What do you do when your kid asks you the same question over and over again? Introducing, the one phrase you will use over and over again: “Asked and answered.” I first heard about this from my friend, Tasha, and I immediately fell in love with it. Then, I swiveled and walked away. Oh, it works so well. Another opportunity popped up later that day when my kids asked for fro-yo after dinner. If you’re like me, your kids are probably able to wear you down. Chances are that you had a pretty good reason for saying no the first time you said it and now they’ve disintegrated your defenses to the point that you start to question your own reasoning. I’ve been there. My kids are experts in this. Instead, steel yourself against this phenomena by using the simple phrase: Asked and answered. It goes like this. “Wouldn’t it be great to have fro-yo for dinner, mama? It can be one of the most satisfying phrases you use in your entire parenting day because your kids will no longer have the opportunity to wear you down. Can you ask “Why?” to “Asked and Answered?” Not really. It’s just stating facts. They asked the question already and you answered it. However, they stop their line of rapid-fire questions when I use it. A simple phrase where you don’t have to stumble for an explanation can be one of your most powerful parenting defenses. Especially, when you’ve already given a perfectly acceptable reason for saying no. This is such a great parenting hack! I feel like one of the most important parts of parenting is making sure your kids take you seriously by meaning what you say. Every time you say no and then change your mind after they nag you for awhile, you’re teaching them that your ‘no’ doesn’t actually hold any value. 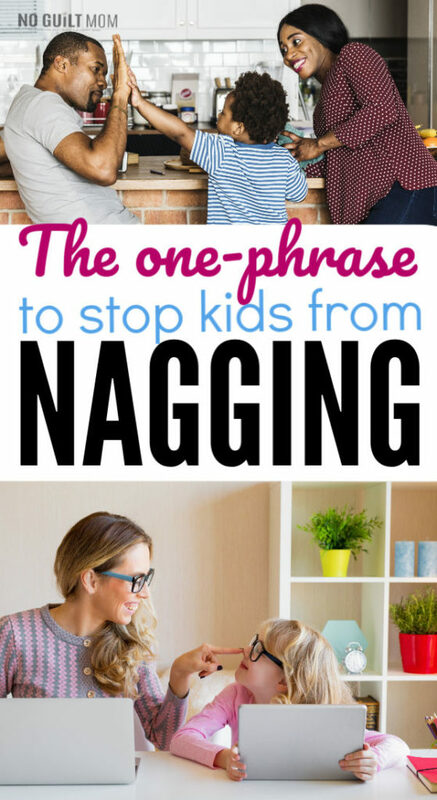 They learn that nagging is the way to get what they want, so they do it more! Having predetermined responses like this to shut them down is fantastic. It encourages her to think about her question and try to think of an answer herself, and she usually stops asking why! Total sanity saver. lol!! love it. ” your most powerful parenting defenses” parenting is like a battle field sometimes isn’t it? I need to try “asked and answered” Great post. I’m “Gram” to my granddaughters and their friends. 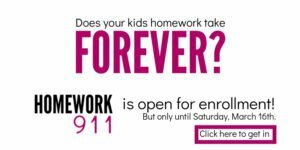 Just as good for parents, grandparents, babysitters and teachers. Thanks, can’t wait to use it. Yes, Miche!! Let me know how it goes!